Music continues to grow as a popular area for brands to reach new audiences and convince customers they’re relatable and worthy of their dollar. But as the popularity grows, delivered activations are becoming more recycled. Brands are partnering with the most creative forces in the world and telling them exactly what to do. It’s like hiring an interior designer and prescribing exactly how the room is supposed to look. I would love to see brands loosen their grip and dream up ways to partner with artists where the brand is not only paying for the artist’s association but for their creative thinking as well. Today’s pop artist is a renaissance (wo)man. No longer are they expected to simply write songs and sing them on stage. The modern-day fan expects their musical idols to be creative forces, developing never-before-heard sounds, creating incredible visuals, building game-changing stage productions, reinventing their image each and every product cycle and, most difficultly, emanating cool 24/7 on social media and in the tabloids. These demanding expectations are why modern-day artists don’t exist in a vacuum and quickly employs a creative collective of visual artists and creative directors to support their visions. Yet brands seem stuck in this default mode of simply looking for a celebrity for hire instead of forging a truly creative partnership that would elevate the benefit to both artist and brand. It takes faith and courage to not be held back by a sense of risk. At the end of the day, artists are only responsible for their own brands, which offers them the luxury of not having to report back to shareholders. Brands seem stuck in this default mode of simply looking for a celebrity for hire instead of forging a truly creative partnership that would elevate the benefit to both artist and brand. Of course, there are plenty of examples when such an approach backfired. Mountain Dew’s courtship of Tyler the Creator resulted in a perceived racist TV spot involving a criminal goat that was quickly yanked. But when it works, it works well, which can be seen with American Express’ partnership with Pharrell Williams. Here are the bedrock best practices for turning your artist sponsorships into partnerships. Do your homework. Conduct a social listening exercise that gauges your comfort level with their lyrical content, the images they regularly portray and the company they keep. Do you see their creative sensibility as an engine for amplifying your brand? Is the artist continually delivering experiences outside the music to engage with fans? 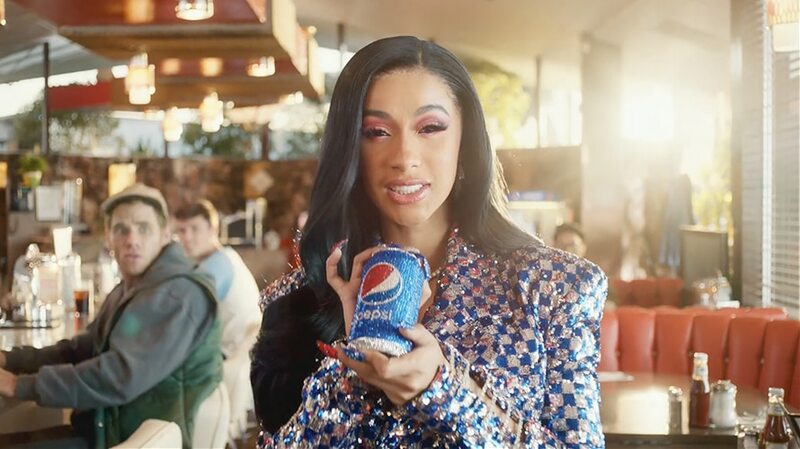 No doubt Pepsi did its due diligence before pulling the trigger on Cardi B for its Super Bowl spot. In the end, her creativity and social clout was worth the gamble on her often edgy persona and questionable social content. Having a brief is fine, but true dividends are paid when you hold a loose leash. Nourish the creativity. Don’t hamper it. Intel knocked on Childish Gambino’s door looking to prove the power of their chips to consumers. Gambino blew their minds with a high-tech, immersive dome performance in the desert. Let the artist know straight away what mandates are non-negotiable, such as required access for brand customers, brand attribution above title, timing, etc. It’s very hard to step in later and try to force brand mandates into an artist’s baked creative vision. Verizon works with major talent each year, and although they are leaders in delivering creative flexibility for each deal, they are very specific on their need to deliver a clear value proposition for their VerizonUp loyalty program. Recognize not only the artist’s creative contributions but their pain points as well. There will always be a check, but what else can a brand bring to the table to encourage partnership and participation? Clearly identify quantifiable assets the brand can deliver to the artist, such as media impressions, proprietary promotions, on pack promotion, etc. American Express is a leader here, with its Entertainment Access presale program. Amex helps defray the artists’ on-sale marketing budget by moving significant ticket inventory to their affluent consumers. If you follow this playbook, there is a great chance that you will be able to have mutually rewarding partnership with artists. Artists are constantly growing and are often underestimated for their willingness to collaborate. There’s no denying they love the brand check, but you’ll be surprised just how open and creative they are if you come to the table with respect and openness.